A family of passionate doctors dedicated to their practice, the DocX family from Belgium share their learning experience, and what brought them to the NNEdPro Summer School 2018 last year, their top takeaways, and why they would recommend it! What brought you to the Summer School as a family? I looked for interesting courses during summer that covered aspects of medicine and health, which are not discussed often in college. My university has a sort of ‘suggestion list’ for short mobility abroad. As quickly as I saw that we had the opportunity to join a course about nutrition, I thought this would be interesting for my dad, Johan and aunt, Lieve. They are both the most dedicated family doctors I know. I’m grateful to be this close with them; they give me a lot of advice and ideas about health and medicine: for example, the importance of diet, life style, listening to patients … in short, the love and life of a general practitioner. What are your Top 3 takeaways from the Summer School and the Summit? I was delighted to be able to join this course. We heard a lot of the importance of healthy life style. It was very interesting for me, as a general practitioner, to hear which evolutions and new discoveries in healthy diet are made and how to put it into practice. I totally agree with my sister. In addition to this, it was good to learn more about how to critically appraise scientific articles and what’s behind all the outcomes: the research, the science, the physiologic mechanisms in the human body. I was also able to talk and discuss diet in medicine with some interesting speakers. It was very insightful. My number one highlight of the summer school was meeting new people with the same interest. Joining these exceptional colleges together and having the opportunity to discuss them afterwards is a new and fun experience to me. It stimulates me to join more training like this. Another highlight of the summit after the summer school was hearing about Nutritank. It is an initiative of medical students for medical students in Great Britain to implement the importance of diet in our courses in Medical school. I’m looking forward to work together with them to reach this awareness in my country, Belgium as well. How has the summer school and school and summit benefited you and how will you utilise your knowledge? It definitely benefited us. I followed a lot of courses about nutrition and health, and I’m still learning new things. Hepcidine, to give an example… I’m now reading more about iron, the course triggered me to look for more evidence and discoveries of this micronutrient. I’m happy to be able to apply more specifically my knowledge about healthy diet. We all know a little bit about ‘what is healthy for us’ but now, thanks to this course, I have a stronger basis of knowledge which gives me more confidence to give advice and discuss about healthy life styles with patients. As I said before, it triggers me to join more training like this. The summer school was an eye-opener, by which I mean that it really highlighted the importance of research and its application in practice. I’m really looking forward to do something with this knowledge. Would you recommend the experience to others? Yes, definitely! If you’re eager to learn about nutrition, health and its applications, implications; This is the right course. You meet a lot of lovely people with the same passion but all of different disciplines to learn even more about the different aspects on the same subject… The experience is unique. 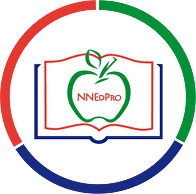 We want to thank the organisation of NNEdPro a lot. It gave us unique insights and brought us as a family even closer together, being able to citytrip and learn (both things we love to do) about a subject (nutrition applied to health and medicine) which is of great importance and interest to us.